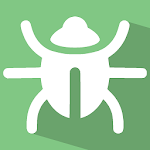 You will be notified immediately if a virus is detected and you can delete infected files with just one tap. Scanning unknown apps for your phone may take some time. For this reason we recommend patience and always use the app in the background, while using other apps or listening to music. 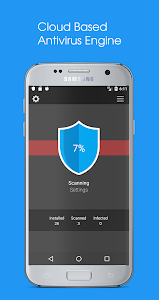 The best thing about this antivirus is that it scans your Android phone or device thoroughly, finding all infected files and viruses, notifying you instantly and giving you the ability to remove these viruses with a single click. - It gets faster with each scan. 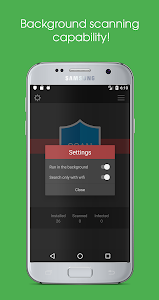 Similar to "Cloud Antivirus: the best cloud security app"